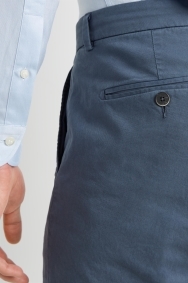 When it comes to chinos, it pays to invest in top quality and comfort. That’s exactly what you get with these ones by Savoy Taylors Guild. Designed to be a classic you keep turning back to, they’re in an easy-to-style blue and made from Italian cotton with added stretch. 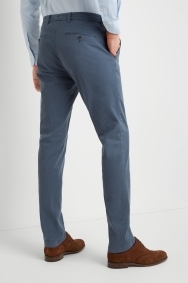 Unlike most trousers from this brand, these ones are cut in a tailored fit for a stylish tapering effect through your legs. 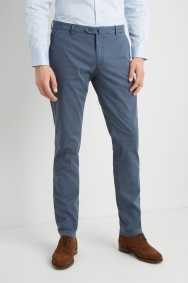 You can wear these chinos with a number of blazer and shirt combinations thanks to its versatile colour. For a more relaxed outfit, feel free to choose a grey or neutral jumper or an open-necked patterned shirt.